The goal of this program is to increase the number of students who undertake course work and graduate with degrees in the targeted areas integral to NOAA’s mission. This program targets students who have completed their sophomore or junior year (in a 5 year program), attend Minority Serving Institutions (MSIs), and have recently declared, or about to declare a major in atmospheric, oceanic, or environmental science disciplines. Eligibility Requirements: • US Citizenship • 3.2 GPA • Studying a NOAA mission science: atmospheric science, biology, chemistry, computer science, engineering, environmental science, geodesy, geography, marine science, mathematics, meteorology, oceanography, physical science, photogrammetry, physics, etc. Award: Scholarship - A maximum of $9, 500 per academic year is provided to each scholar to cover the cost of tuition, fees and other allowable expenses. 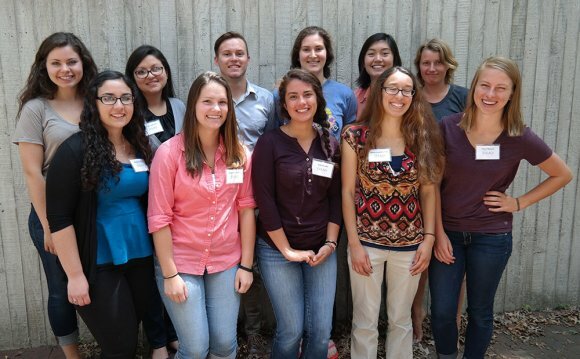 Summer Internships - Scholars select and conduct internships at NOAA offices and field sites for 10-weeks and receive a stipend of $700/week during the internship periods. Travel - Scholars' travel costs to and from orientation and the NOAA sites are covered. Housing Subsidy - Students who do not live at home during the summer internship periods receive a $200/week housing allowance.